THIS time, it’s the faculty of the Jesuitun Xavier University and one of its programs for students that are being linked to the communist New People’s Army (NPA) without proof. Cagayan de Oro’s oldest and premier university yesterday denounced what it called as red-baiting and an orchestrated effort to intimidate its faculty members and undermine the institution’s programs. The university statement yesterday came just days after news media organizations, the Iglesia Filipina Independiente, and the Union of People’s Lawyers in Mindanao condemned on separate occasions the red-tagging of their members. Camp Evangelista and Camp Alagar issued separate statements, denying that soldiers and police officers had a hand in the red-tagging of the journalist and his family, religious leaders, lawyers and activists. The red-tagging, according to Camp Alagar spokesman Lt. Col. Surki Sereñas, may have been the handiwork of a group that wanted to sow division. The university’s communications office said there were two boxes containing the black propaganda, printed on a long bond paper, that were reported to have been found during an opening program of a photo exhibit inside a mall in the city last week. It said mall guards seized the boxes, preventing the distribution of the black propaganda materials. Yap said he suspected that the red-baiting was orchestrated and meant to intimidate members of Xavier’s faculty members and undermine the university’s immersion program. Yap added: “As a Jesuit academic institution, Xavier-Ateneo remains committed to its mission of providing our students a real-life and holistic education through immersions and community engagements in the peripheries of our society. 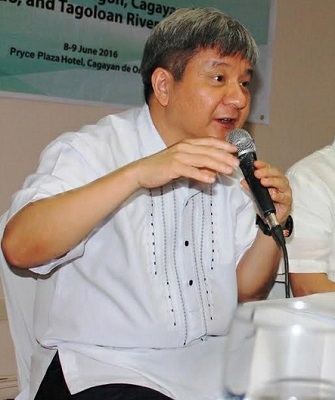 “Our programs are in line with our ethos of forming leaders who will be instrumental in promoting interreligious and intercultural dialogue, nation-building, and sustainable development,” he stressed. Yap said Xavier would continue to look out for the safety and security of its students, faculty members, administrators, staff, parents, and alumni at all times. He however said that there is no evidence that the university, its programs and activities are exposed to any grave threat. The incident came on the heels of a similar attempts to link a journalist and his family, religious leaders and missionaries, human rights defenders, and other academic institutions to the communist movement over the last few months. Among those named as “terrorists” were IFI Bishop Felixberto Calang, Fr. Rolando Abejo of Movement Against Tyranny-Northern Mindanao, Karapatan Northern Mindanao spokesperson Fr. Khen Apus, human rights lawyers Beverly Musni, Czarina Musni and Beverly Ann Musni, and Gold Star Daily associate editor Leonardo Vicente “Cong” Corrales and his family.